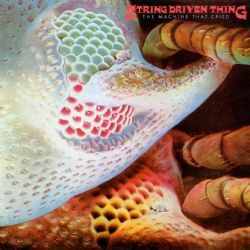 Esoteric Recordings are pleased to announce a new edition of the classic 1973 album THE MACHINE THAT CRIED by STRING DRIVEN THING – re-mastered from the original Charisma Records master tapes. Formed in Glasgow in 1967 around the husband and wife CHRIS ADAMS and PAULINE ADAMS and JOHN MANNION, by 1972 the band had moved from their purely folk roots and had signed to CHARISMA RECORDS, recording their self-titled album for the label with new members GRAHAM SMITH (violin) and COLIN WILSON (bass, guitar). For their 1973 album, THE MACHINE THAT CRIED, the band was expanded further by the addition of drummer BILLY FAIRLEY. This record was arguably the finest ever released by the band, featuring such classics as ‘HEARTFEEDER’, the album’s title track and ‘SOLD DOWN THE RIVER’. This Esoteric Recordings reissue has been newly re-mastered from the original CHARISMA RECORDS master tapes and features two bonus tracks drawn from the band’s 1973 single and a booklet that fully restores all original album artwork with a new essay. 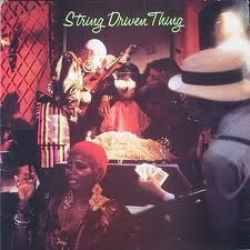 Esoteric Recordings are pleased to announce a new edition of the classic 1972 self-titled album by STRING DRIVEN THING. Formed in Glasgow in 1967 around the husband and wife CHRIS ADAMS and PAULINE ADAMS and JOHN MANNION, by 1972 the band had moved from their purely folk roots and had signed to CHARISMA RECORDS, recording this, their self-titled album for the label with new members GRAHAM SMITH (violin) and COLIN WILSON (bass, guitar). A highly original group, STRING DRIVEN THING remain one of the most interesting British bands of the early 1970s.  This Esoteric Recordings reissue has been newly re-mastered from the original CHARISMA RECORDS master tapes and features a booklet that fully restores all original album artwork with a new essay.